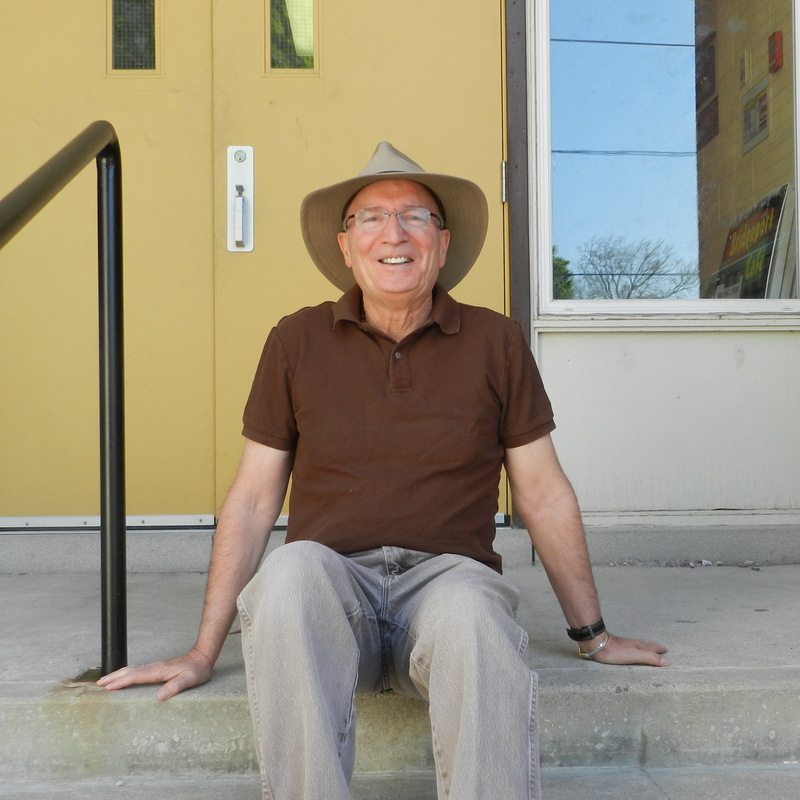 I am now in my eleventh year here at Emmanuel United Church in Waterloo. It must have been about eight or nine years ago when we were wondering about what we could do here at Emmanuel given our location here in the inner city and so I was calling around to every outreach agency I could think of in Kitchener Waterloo and seeing if anybody needed any kind of drop in or any reason to use our space. We couldn’t find anybody who needed and so we kept calling and calling. We were a church looking for someone to help and we couldn’t find anybody. Essentially once we gave up I got a call from the Working Centre in Kitchener. They wanted to know if I’d be interested in coming to a meeting of Waterloo clergy to see if they could identify a place where we could have a drop in centre during the day, especially in the winter for people who were waiting for out of the cold to open. And so I told them forget about the meeting just come here to Emmanuel because this is exactly what we were looking for. And so they came along and we started the drop in centre, the Bridgeport Café, and we were partnered with the Kitchener Working Centre for six years and operating the café. After the six years Emmanuel church took it over. We did along the way have to reduce from five days to three. We’re still hoping to expand it back to four and even five days where we were in the beginning. In the beginning I was fearful we would not get enough volunteers but we have a lot of volunteers, not only from Emmanuel, we have other churches, we have students, we have people who belong to no church at all, or who belong to other religions. And now they cook a lot here, Emmanuel has become known for it’s food. When we first started this I was surprised to learn we had become known for our grilled cheese sandwiches and I didn’t know why people were so excited to get our grilled cheese sandwiches. One of the people told me we were the only place to serve grilled cheese sandwiches but there is a lot more than that now. The people come and it’s like a meal they put out here every day. And so we’re just rolling along here. There are a lot more people that come now. People are certainly well fed and the people who are coming in, I think there is a feeling of family here, both between the volunteers and the people who come. One person told me as a matter of fact, when I mentioned to him, we’re getting more people here, people must be hearing about us, and the fellow said “Well they are not hearing about it through me.” I was concerned and looked at him and he said, “I don’t want other people to find out about this place, when you go other places and it is so crowded and there are so many drugs and fights and everything, I come here and it’s a much quieter atmosphere, and more like home.” It was actually a good thing I suppose that he wasn’t spreading the word, but I’ve shared that with some of the other workers and I think they are happy to hear that that this is a place where they want to be, not only where they need to be.